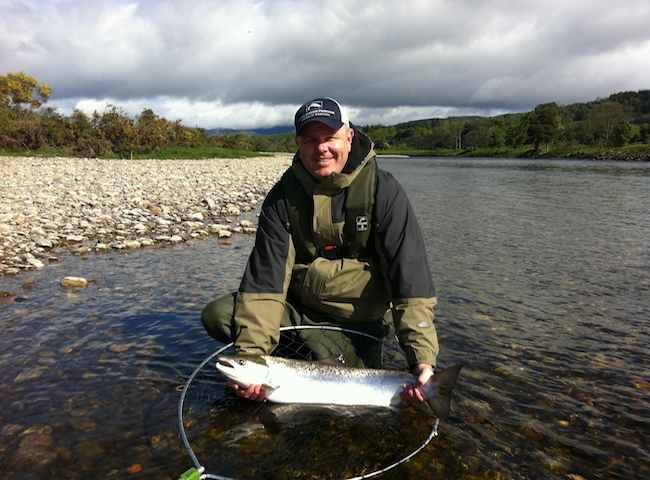 Here's one of five perfect fresh run salmon this guest caught on the fly earlier this week. 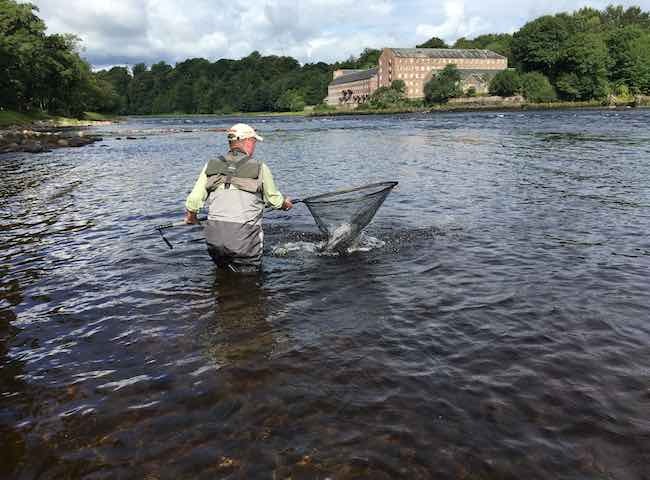 Great sport is to be found on the River Tay during most months of the fishing season. 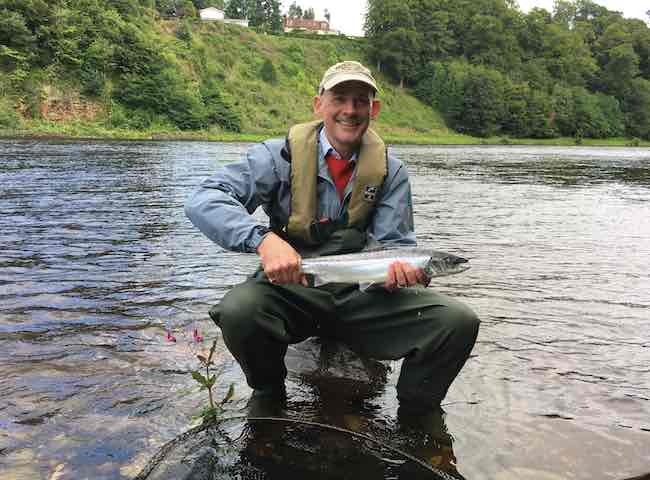 Treat your valued business associates to a professional introduction to Scottish salmon fishing on the River Tay. This coupled with a Michelin starred riverbank gourmet lunch makes the perfect day out of the office. 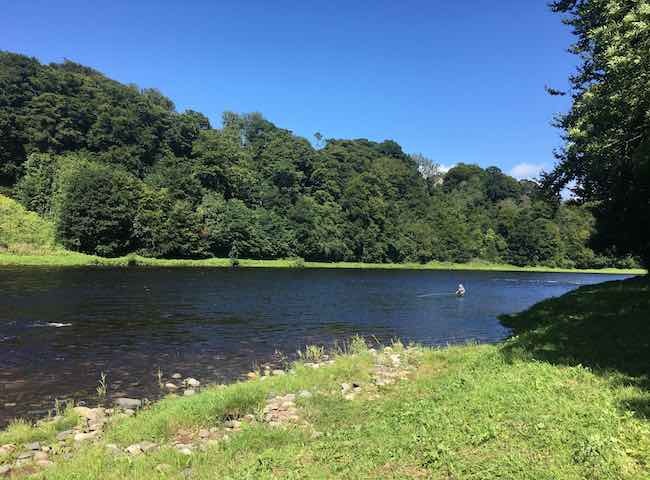 Here's a glorious shot of the River Tay which was taken earlier this week. 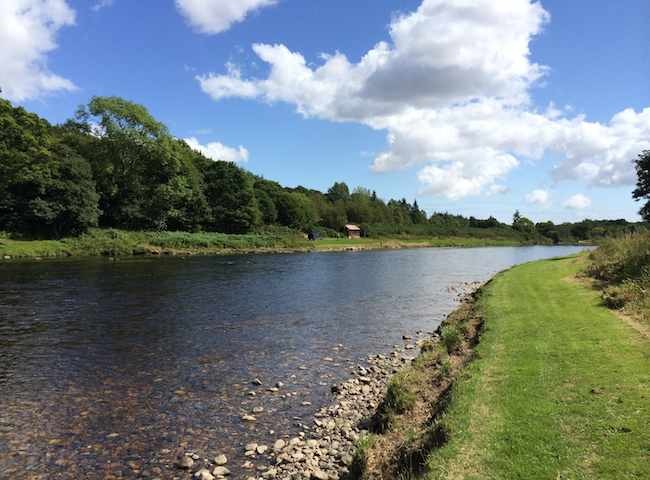 This Scottish river provides all the important natural ingredients for the perfect salmon fishing event experience. This perfect fresh run Summer grilse was one of three caught by this happy client yesterday on the River Tay. This is a great time of the Tay fishing season for catching salmon. The peaceful tranquility found on the salmon river is a complete contrast to the normal & stressful business environment. Treat your colleagues to a high quality dose of 'river therapy' on Scotland's leading salmon river. There's not much in life that can replicate the sheer beauty, power & thrill of a fly caught Atlantic salmon from Scotland's premier salmon river. 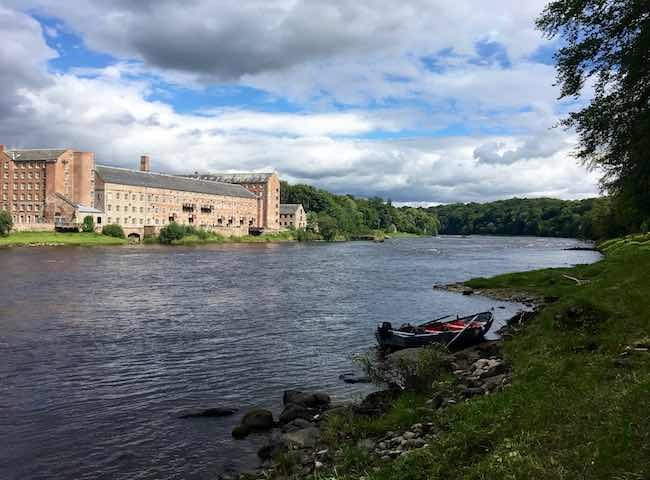 Place your important business associates into the most relaxing and natural environment Scotland has to offer on the perfect riverbanks of the mighty Tay. 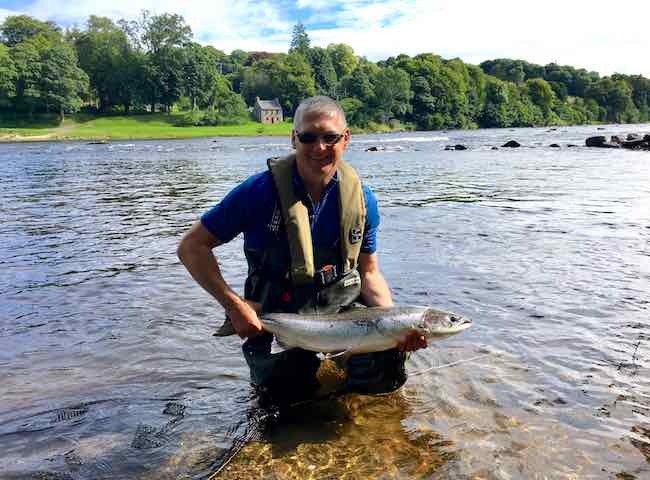 River Tay salmon fishing venue selection requires years of experience and understanding of where the best salmon fishing chances are to be found throughout the season. All River Tay event day venues are carefully thought out and positioned accordingly. 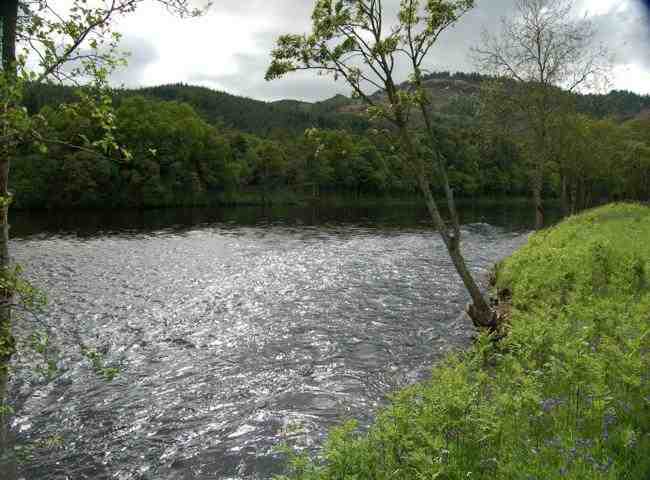 Here's a lovely fly fishing stream on the middle River Tay area near Dunkeld. 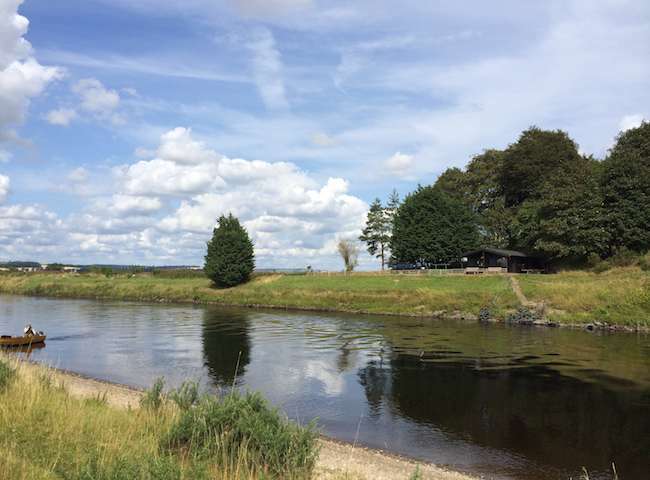 This area of the Tay system is a great choice for a salmon fishing event day. All fishing event days commence with effective salmon fishing tuition that will give you a great chance of catching a salmon. 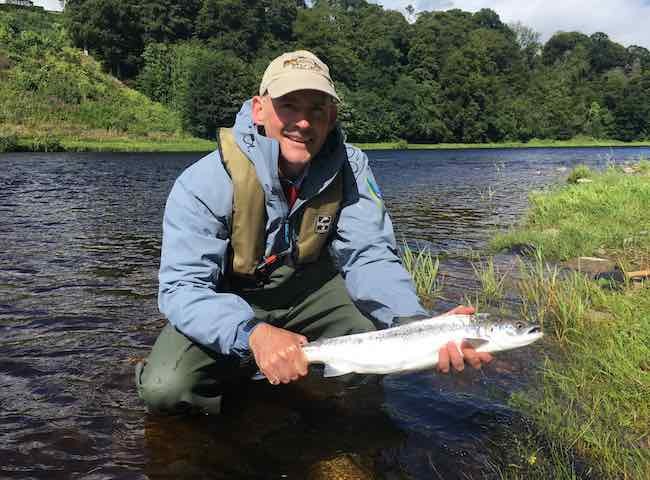 Your experienced River Tay salmon guide will hopefully also demonstrate when the right time is to land your salmon. 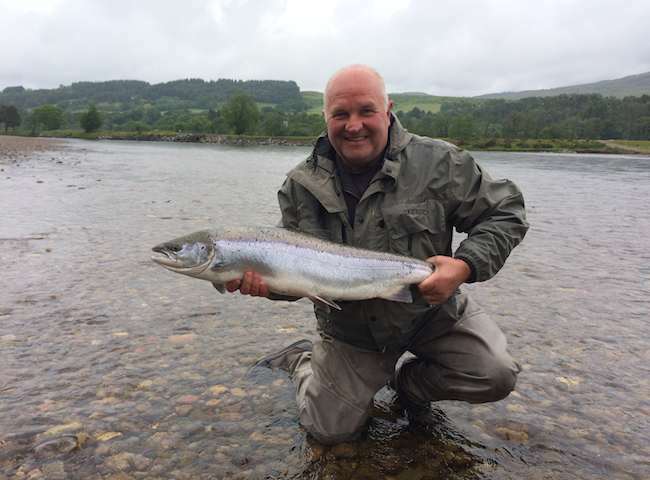 This beautiful Tay salmon grabbed the fly on the 6th cast yesterday morning. Part of the fascination of salmon fishing is not truly knowing when a salmon will take the fly.